A really funny book. Taylor covers a lot of different areas of finance and economics with insights that you wouldn't normally get. Taylor definitely has a sense of humor and thorough knowledge of the events that created some of the most bizarre events in financial history. Definitely a fun book to take on a vacation. BryanTaylor - Dr. Bryan Taylor is President and Chief Economist for Global Financial Data. He received his Ph.D. from Claremont Graduate University in Economics writingabout the economics of the arts. He has taught both economics and finance at numerous universities in southern California and in Switzerland. He began putting together the Global Financial Database in 1990, collecting and transcribing financial and economic data from historical archives around the world. 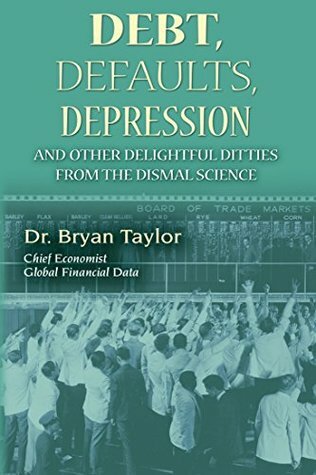 Dr. Taylor has published numerous articles based upon the data he has collected over thepast 25 years, uncovering aspects of financial history that few people know about. He has written two books on financial history, a novel, and several short stories.